OUR MISSION IS TO BE DISCIPLES MAKING DISCIPLES. This mission is a restating of the Great Commission that Jesus gave to all of His disciples in Matthew 28:16-20. Our goal is to lead people to become fully devoted followers of Jesus Christ. We are seeking to accomplish this mission in three ways: engaging the lost, equipping the church, and encouraging the hurting. "...that is, in Christ God was reconciling the world to himself, not counting their trespasses against them, and entrusting to us the message of reconciliation. Therefore, we are ambassadors for Christ, God making his appeal through us. We implore you on behalf of Christ, be reconciled to God. For our sake he made him to be sin who knew no sin, so that in him we might become the righteousness of God." God wants to reconcile the world to Himself, saving those who are lost. One of the beautiful parts of the message of reconciliation is that He entrusts us with sharing with those who are far from God (2 Corinthians 5:19). The church are ambassadors for Jesus. 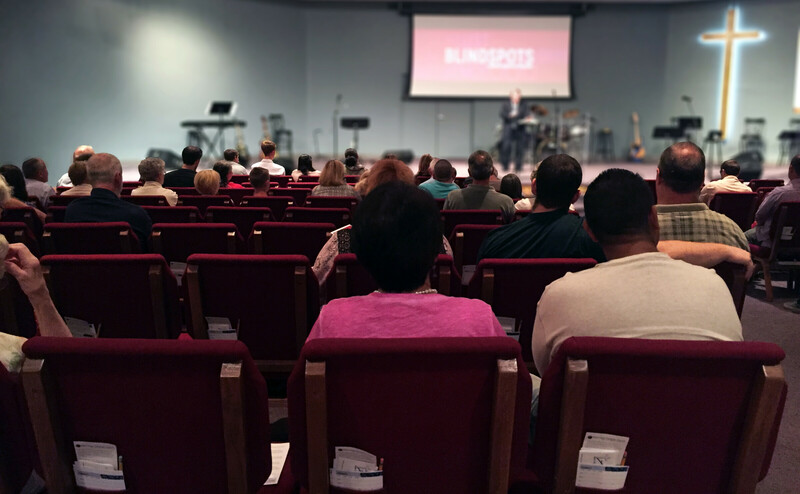 At New Hope, we want to make sure that everyone is equipped with what they need to be faithful ambassadors. We never stop being equipped. We never stop learning. We never stop being disciples of Jesus (2 Corinthians 5:20). What an encouragement to know that Jesus took care of the very thing we were powerless to overcome on our own. New Hope will be a church that encourages those who are hurting with the truth of this loving message (2 Corinthians 5:21). Our values help us to live out the mission Jesus has called us to. We use these values to guide us here at New Hope, informing our decisions, direction, and vision. We believe that the Bible is the perfect word of God. We submit wholeheartedly to the authority of the Bible. We will present God's Word with grace and truth (John 1:14). We seek to produce excellence in everything we do. This has a two-fold purpose: to honor God and to inspire people. We want to eliminate distractions and create environments where people can connect to Jesus (Colossians 3:17, Malachi 1:6-14). We embrace opportunities to support ministries and missionaries who glorify God and lead people to Jesus (Matthew 28:16-20). We generously give of our time, talents, and resources to help fulfill the mission that God has for New Hope (2 Corinthians 9:6-8). We believe that people were created to be in relationships with one another. We value connecting all people to God and one another for the purpose of glorifying God and transforming lives (Acts 2:44-47, Luke 6:12-13). We strive to maintain unity in all essential areas while gracefully loving one another when we differ on the non-essentials (Ephesians 4:4-6). If you have any questions about what we believe, we encourage you to contact us.